For five years Ross worked at Cane Creek Farm, learning everything from grazing strategies to carcass qualities. 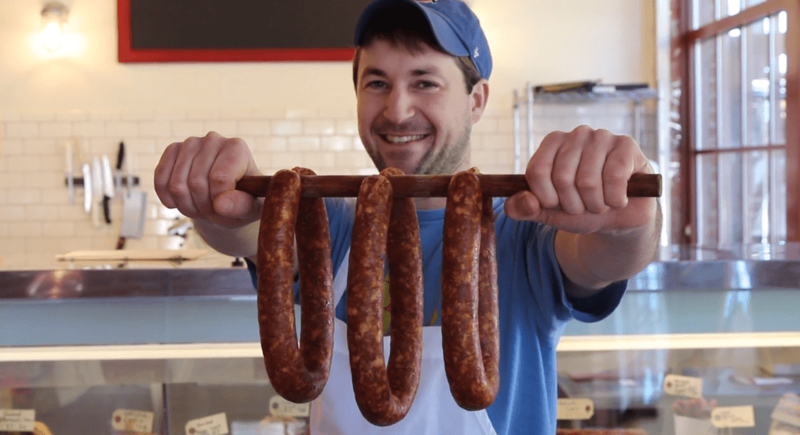 At some point, Ross started butchering and making charcuterie at The Eddy in Saxapahaw. Time on the farm gave way to time in the kitchen (he could do less damage with dead animals than with live ones), and a few years later, Left Bank Butchery was hatched.